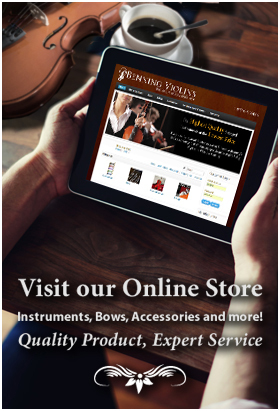 Violinist Stacy Wetzel attended the Juilliard School and the San Francisco Conservatory. She studied at the Banff Centre and received her Bachelor of Music degree from the University of Washington and her Master of Music degree from the University of Michigan. She was first-place winner in the Washington International Competition and the Buffalo Young Artists competition, and she won the Swiss Radio Prize in the Tibor Varga Competition in Switzerland. Wetzel has been a soloist with the Los Angeles Chamber Symphony and the Buffalo Philharmonic. 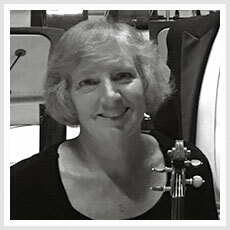 For two years she was the concertmaster of the Ann Arbor Chamber Orchestra, and she has performed with ensembles including the Soviet Émigré Chamber Orchestra, Chamber Music West, and the Michigan Chamber Players. She was on the faculty of the University of Michigan and served on the faculty of the San Francisco Conservatory of Music. She joined the San Francisco Symphony in 1987. In the fall of 1995, she followed her husband (who joined the Los Angeles Philharmonic in 1994) to Southern California and won the audition for a position in the second violin section of the Los Angeles Philharmonic. In 2001 she moved up to join the orchestra's first violin section. She made her concerto debut with the Philharmonic playing "Autumn" from Vivaldi's Four Seasons at the Dorothy Chandler Pavilion.